Vanessa Evers is a full professor of Computer Science at the University of Twente’s Human Media Interaction group and Director of the DesignLab for multidisciplinary research. She received a M.SC. in Information Systems from the University of Amsterdam, and a Ph. D. from the Open University, UK. During her Master studies she spent two years at the Institute of Management Information Studies of the University of New South Wales, Sydney. After her Ph.D. she has worked for the Boston Consulting Group, London and later became an assistant professor at the University of Amsterdam’s Institute of Informatics. She was a visiting researcher at Stanford University (2005-2007). Her research interests focus on on interaction with intelligent and autonomous systems such as robots or machine learning systems as well as cultural aspects of Human Computer Interaction. She has published over 80 peer reviewed publications, many of which in high quality journals and conferences in human computer interaction and human robot interaction. She serves on Program Committees of ACM/IEEE HRI, ACM SIGCHI, HSI, ACM CSCW and ACM Multimedia. Vanessa is frequently interviewed about her work on national public tv, newspapers or magazines. She won the best thesis prize awarded by the Dutch National Society of Registered Information Specialists, was co-author of the James Chen best paper award of the journal on User Modeling and User Adapted Interaction together with then her Ph.D. student Henriette Cramer. She holds the 2014 Opzij talent award. 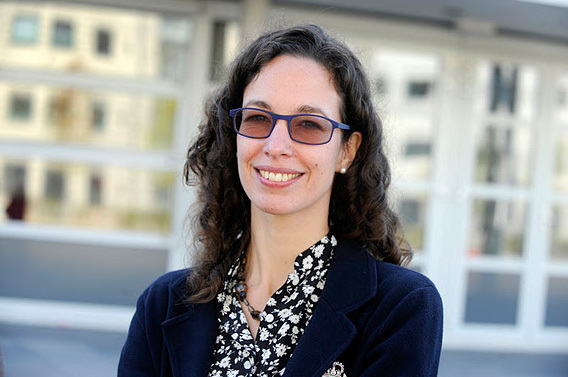 Vanessa is an editor for the International Journal of Social Robotics, she is co-chair of the ACM International Human Robot Interaction Steering Committee and Associate Editor of the Human Robot Interaction Journal.